Welcome to my website! Please look through my Gallery, CV/Bio and Artisit Statement and join my email List. I have other paintings and artwork in my Links that I change periodically. My artwork consists of watercolors, oils, colored pencil and pin & ink. Thank you for visiting. 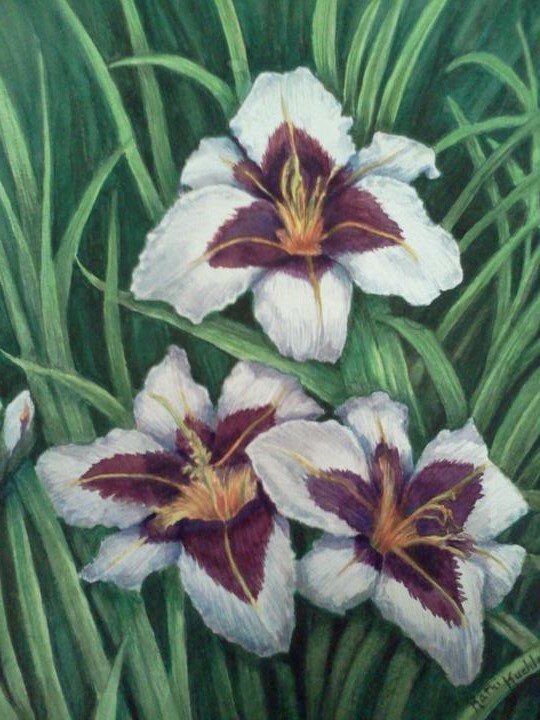 I received my Botanical Watercolorist and Illustrator Certificate in 2015 through the Morton Arboretum, Lisle, IL. I find that the biggest challenge in drawing/painting botanicals is to capture the subject before it changes or becomes withered, but sometimes this makes a whole different subject matter for a new drawing or painting. Memberships: Natures Artist Guild (Morton Arboretum), Dupage Art League (Wheaton), Fine Line Art Center and Gallery (St. Charles), Greater Geneva Art Guild (Geneva), and the Batavia Orchid Society (Batavia).